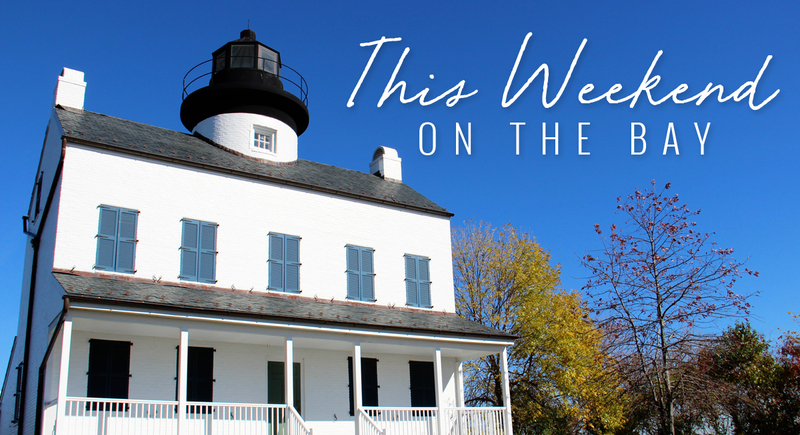 It's going to be another action-packed weekend on the Chesapeake Bay! We've got details on events this weekend, September 28-30, as well as a few big upcoming events you'll want to keep on your radar. You can find more upcoming events in our Chesapeake Calendar. It's going to be another busy weekend on the Bay! Maryland Fleet Week kicked off earlier this week, but there's still plenty of time to tour visiting ships. Vessels are open for tours through October 8, from 1 to 6 p.m. at the Inner Harbor, north Locust Point, Fells Point, and Canton. The largest air show in Baltimore will take place this weekend, October 6 and 7, from 12 to 4 p.m. in the skies over Fort McHenry and the middle branch of the Patapsco River. On Saturday and Sunday from 10 a.m. to 5 op.m. there will also be an event at Martin State Airport in Middle River where you can watch the planes take off and land (not the actual air show), meet the pilots, learn about military aircraft, and enjoy food and music. You may not be a sailor, but there's still plenty of reasons to come to the sailboat show, like deals on marine gear, to ogle million dollar yachts, dream about a Caribbean vacation, or maybe just to enjoy live music and a Painkiller at Pusser's. The sailboats are in town through Monday and then the powerboats move in! This 24-mile electric boat marathon encompasses eight miles of relatively open water at the mouth of the Miles River and 16 miles of sheltered water in the Wye River. Every year a wide variety of boats compete, ranging from small home-built boats to classic launches, rowing shells, and event pontoon boats. Over 50 boats will be on display at the Kent Narrows Boat Expo from bow riders to center consoles to sedan bridge's at the Kent Narrows Docks at Harrisons Yacht Yard, Bridges, and Fishermans. Free admission! Weekends through October 28. 11 a.m. to 10 p.m. Boat rides to St. Clement's Island for the annual Blessing of the Fleet are available from 11 a.m. to 5 p.m. There will be a 12 p.m. parade and 3 p.m. mass on the island. Throughout the day there will be kids games, food, live bands, and wine tastings, and a spectacular fireworks show at 8:45 p.m. Admission is $10 for those 13 and up, 12 and under are free. Presented by the 7th District Optimist Club. Live music by City of the Sun. 3 to 5 p.m. at the Wylder Hotel in Tilghman Island, MD.